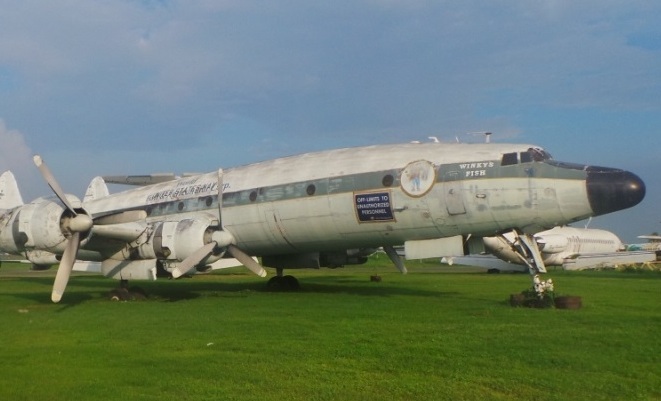 A Lockheed Super Constellation similar to those flown by Qantas Airways in the 1940s and 1950s will be making the long trek from Manila to outback Queensland after finding a new home at the Qantas Founders Museum. 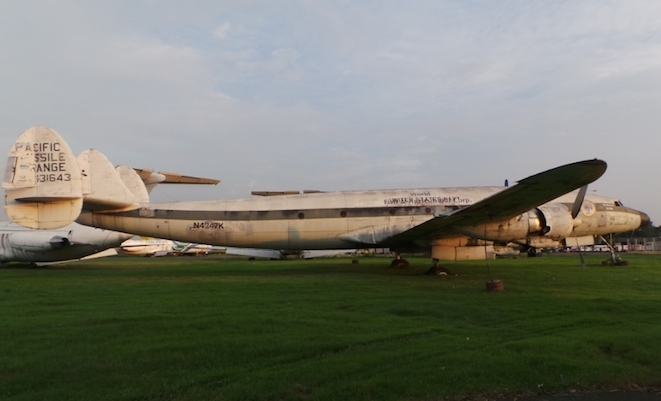 The museum acquired the Super Constellation, which had been grounded for the past 25 years, at a recent auction of old aircraft organised by the Manila International Airport Authority. Previously used by World Fish and Agriculture Inc to transport fish cargo, the aircraft is not airworthy and will be transported first by ship then onwards to the museum’s location at Longreach, Queensland, by road. The Qantas Founders Museum said the timing of the various stages of the project were still being determined. The museum said the Super Constellation was “an iconic aircraft in the history of Qantas and Australian aviation” and its chief executive Tony Martin was confident it would prove a big attraction. “In the past, Qantas Founders Museum has experienced a growth in visitor numbers of 10–20 per cent as a result of a new aircraft being added to its collection such as the inclusion of the Boeing 707 in June 2007,” Martin said in a statement on Monday. Constellation was the first Qantas aircraft to feature flight hostesses, and the first pressurised aircraft operated by Qantas. Notice the ‘Pacific Missile Range’ on the tail. I would be concerned that the possible level of corrosion might make this task difficult when attempting to lift it out of the swamp…good luck! It used to be called “Ole Blue from Point Mugu” when operating with the PMR up until ’74. It was impounded in Manilla in 1988. Lets hope that it is restored back to Qantas colours very soon it is also good that it still has its engines as saw one in Seattle without engines they had been sold for parts. Didn’t the super connie have wing tip tanks? Tony, the L-1049G and H Super Connie definitely had 1000 gallon wingtip fuel tanks. Earlier models of the Connie didn’t have these. This aircraft being acquired is an L-1049B or C-121J and therefore didn’t have the wingtip tanks. A minor detail, I’m sure the museum could fit mockups of the tanks if required but only a real aviation buff would identify this issue. TWA had 4 1049G Connies operating in 1965 when I was a Connie crew member and none had wingtip tanks if I remember correctly, although, it is possible the Co. Had removed them to save wgt. If that was the case it was before my time..they also operated 2 1649 freighters at that time and they were really super..
Do you think a 737-400 will make it there or an A300 OR A 767 in the future. Our 737-400s are all gone. The 767s will be gone by Christmas although there is one stored near Alice Springs. The 767 was a great aircraft for QF. The one we missed was the 747-SP. Both of ours were sold for next to nothing and chopped up for scrap. What a tragedy. At least we have a 707 and a 747-300. One more happy story from Longreach Airport. As active member of Qantas Heritage Museum, specifically about master pise great B707 B. in campaigns to achiving to bringing to cradle of QANTAS existence, to Longreach / Winton airport. Really exscinding news, come to me hire in Serbia, where I am live over winter since retarred from may “native” and beloved QANTAS. I believe to have chance to visit QHM at Longreach for third times, same time in Aussys winter. Regard to staff and Worrik Triton and John. Hi just to let you know that there is one B737-476 X-VH-TJQ flying as ZK-JTQ owned by Airwork NZ and LSD to Toll at this moment it is flying from a Adelaide to Sydney as TFR34 you can check this aircraft on Flightaware.